19 in. 8 in wide fold down cuff of striped green, red and white textured fabric.Body of stocking is made of white textured fabric with a red fleece toe embossed with snowflakes. 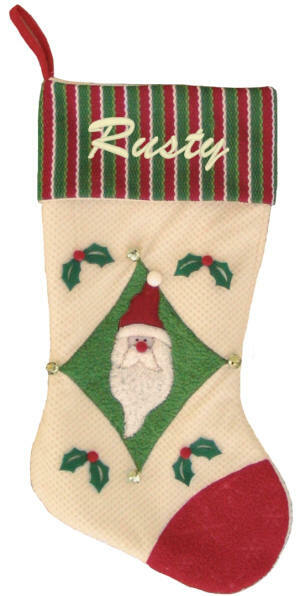 Center of stocking has a green fleece diamond applique with jingle bells in each corner. This diamond has a Santa face applique with a long white beard. Green felt holly leaves and berries are attached. Stocking is fully lined with felt. 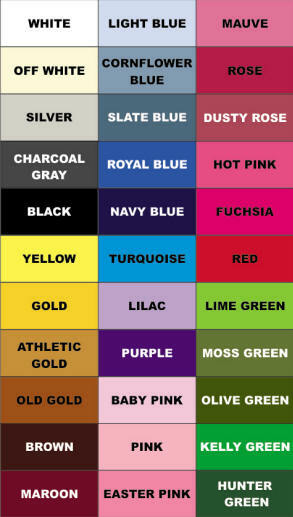 Christmas Stocking will be personalized on the cuff.